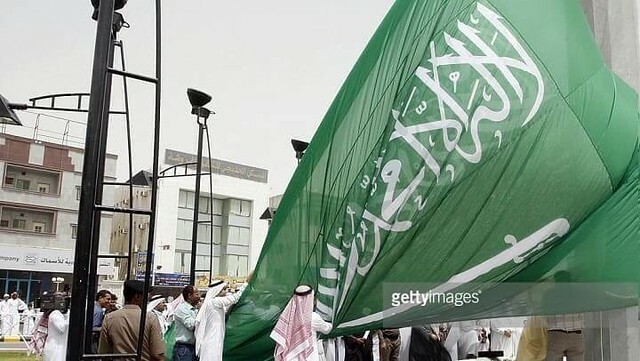 1-The Old Saudi Flag: The flag of Saudi Arabia was adopted by the government of Saudi Arabia on the 15th of March, 1932. In 1912, when Najd was taken over by Ibn Saud, the white sword was put on the flag of Saudi Arabia right below the Islamic inscription printed on it. This flag was then finally decided to reveal in 1932 when the Kingdom of Saudi Arabia was declared as a separate country. 2-Ratio height of 3:2: It is not a square but a rectangularly shaped flag with a ratio height of 3:2. 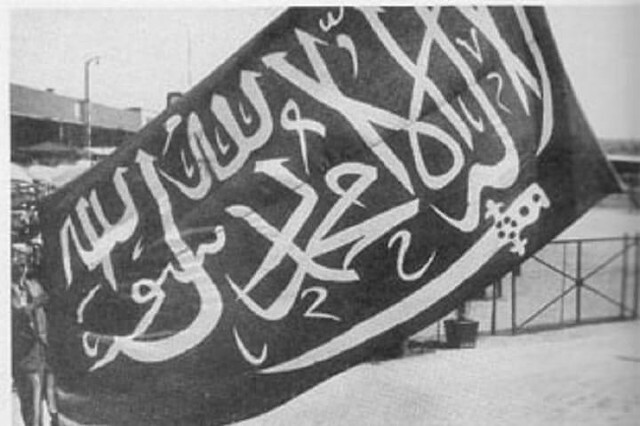 3-Shahada: The flag is of green and white color with an Islamic inscription on it. The inscription says “laa ilaaha illallah, Muhammad rasulullah” which means ‘’There is no God but Allah, and Muhammad is Allah’s messenger’’. This is called as ‘shahadah’ or the Islamic announcement of faith. The inscription written on the flag is holy and Islamic hence this flag can never be used as clothes or other items. The colors chosen for this flag which is green and white are because they were the favorite colors of the messenger of Allah, Prophet Muhammad (peace be upon him). Moreover, the green color represents Islam. 4-The sword designed on the flag is a symbol of the House of Saud which is the founding empire of the country. The swords also depict the strength and power of Saudi Arabia. 5-Saudi Flag on Footballs: In 2002, FIFA requested permission from the officials to use this flag on one of their footballs. 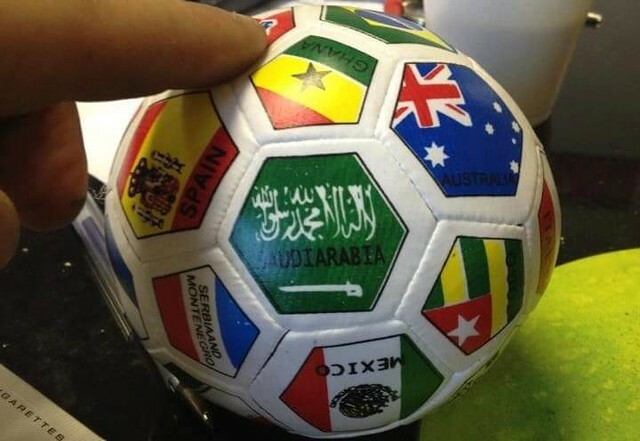 The request was immediately denied by the official because kicking a ball with a Saudi Arabian flag is not allowed under any circumstances due to the Holy inscription printed on it. The flag of Saudi Arabia was printed by a private company on the footballs for commercial selling as Saudi Arabia was one of the teams which qualified for the 2018 FIFA world cup. 6-Halfway on a flagpole: This is also why the Saudi Arabia flag can never be put up just halfway on a flagpole. The flag is designed and manufactured in such a way that it has identical obverse and reverse sides so that this Islamic declaration of faith printed on the flag is read correctly, from either of the sides, which is from right to left. 7-Lower to half-mast: The flag of Saudi Arabia can never be lower to half-mast because lowering it would mean an act of disobeying Allah. This flag can never be hoisted in a vertical position which is a rule by the Saudi Legislation. 8-The Flag of Hejaz: The two ancestor states of Saudi Arabia, Najd and Hejaz use flags with a similar design and pattern made on the Saudi Arabia flag. The Flag of Hejaz is more similar to the patterns made in countries like Sudan and Palestine.